Prior to iOS 7, apps needed to be manually updated via the App Store app. It was a regular chore for all users, and in hindsight totally unnecessary. After all, we can count on one hand the number of times an app was updated that broke or hindered functionality. Earlier this summer, iOS 7 totally overhauled the way apps were updated. Now, they automatically update whenever a strong signal is available. This might be in the middle of the night, or during the day while the phone is sat in your pocket. It’s a marked improvement over earlier iterations of iOS, and a huge time saver. Nevertheless, there might be cases when you don’t want apps to automatically update. Perhaps you’ve discovered the latest version of an app removes key features that you like? Or maybe you don’t want to waste precious data bandwidth if you’re on a pay as you go plan. 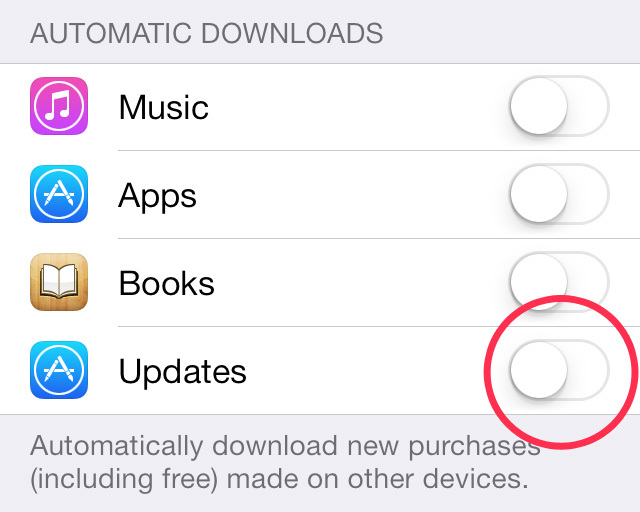 Whatever the reason, it’s a quick and easy process to turn off automatic app updates via the Settings app. 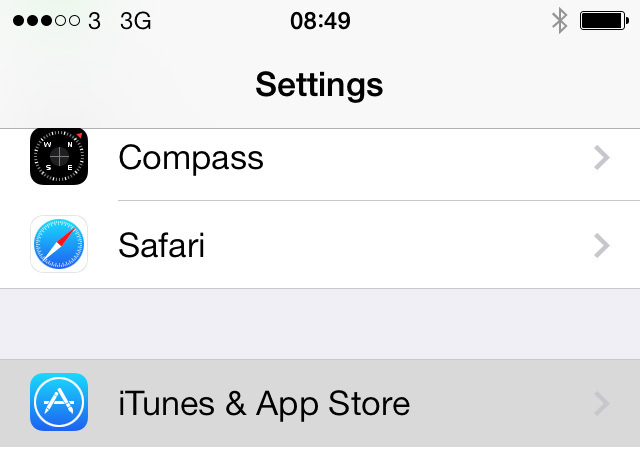 Open the Settings app, scroll down then tap the iTunes & App Store option. Under the Automatic Downloads section, toggle off the Updates switch. Apps will no longer update by themselves. To manually update apps, you’ll now need to open the App Store app, tap the Updates button at the bottom of the screen then tap the Update button alongside each app.